Hi and welcome to Over the Moon. This month I’m joining in on a month-long blogging project created by The Nester, you can find the rest of the participants at 31 Days. 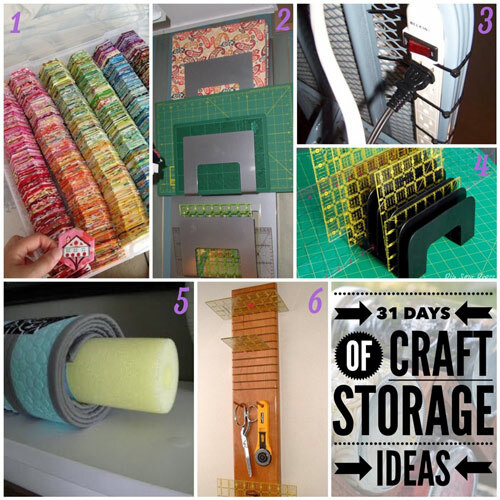 This is day twenty-eight of 31 days of Craft Storage Ideas. 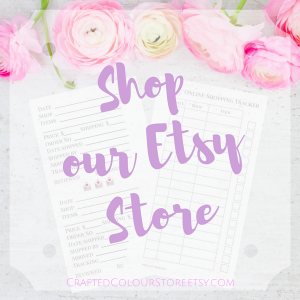 Storage is at a premium in our little cottage and unfortunately I don’t have a craft space of my own. One day, I’ll turn one of the bedrooms into my studio. Love this idea. Store hexies in a plastic box (looks like and embroidery floss box). I’ve been trying to find the original source on this one. Bear with me until I track it down. Store quilter’s rulers and cutting mats in an IKEA Magazine rack. If you’ve found other ideas for storing quilting tools let me know in the comments or by using the contact link at the top of the page.